You only have one chance to make a first impression, so if the grounds of your care home aren't in pristine condition, they're not going to accurately reflect the rest of your establishment's high standards. As many care homes were once large, private houses, their gardens can be complex in nature and design, requiring a considerable amount of specialist maintenance to keep them looking their best. If you're the owner or proprietor of a care home and need a reliable, affordable and professional grounds maintenance service, we would be delighted to help. Whether you only require the paths gritting in icy weather or need a comprehensive range of services to keep your grounds looking fantastic at all times, we can help. We can provide a regular service throughout the year, assisting with seasonal jobs, such as leaf clearing, planting, pruning, weed control and mowing, as well as providing timely repairs to walls and fences. Our aim is to customise what we do to ensure you always get the results you want. 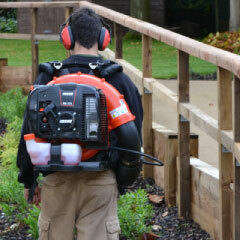 Not only are our team all qualified and experienced in grounds maintenance, they also have access to all the right tools, ensuring excellent results no matter how challenging the task. All jobs are carried out strictly in line with health and safety regulations, ensuring the well-being of your residents and staff whilst we are on site. We already provide grounds maintenance for a number of different care homes in the immediate area, so are aware of what is required and have a proven track record of success in this field. For more information on how we can meet your requirements for high quality grounds maintenance that will impress visitors, residents and their relatives, please get in touch. 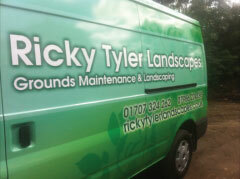 Ricky Tyler Landscapes can provide gardening and grounds maintenance services including Care Home Grounds Maintenance covering London, Essex, Hertfordshire, Northampton, Buckinginghamshire & Bedfordshire .